Is Your Password Easy To Guess? After Yahoo, Inc. was hacked, ESET, a Slovakian IT security company researched the most commonly used passwords from the list of those compromised. Unfortunately, the most popular passwords were the least secure when it comes to account protection. Unfortunately, despite ongoing efforts to increase online security, many individuals continue to use easy-to-hack passwords. Password creation is something a user can control and should take seriously for protecting important online accounts. It is critical to use a strong password when storing information online, for extremely sensitive documents a person should go a step further and use two-factor authentication for online accounts. Congratulations if you managed to avoid using the most popular passwords, however, you should take this time to think about what you are currently using as a password. Are you using something that could be on this list next year? 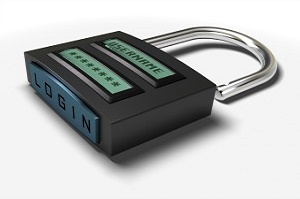 Do an audit of your passwords and strengthen them where you can.